“It’s possible for two ancient people to have the maturity to understand each other and to look to the future together. Turks and Armenians, sharing the same geography and long history, can only talk to each other about their problems and seek together ways to resolve them. 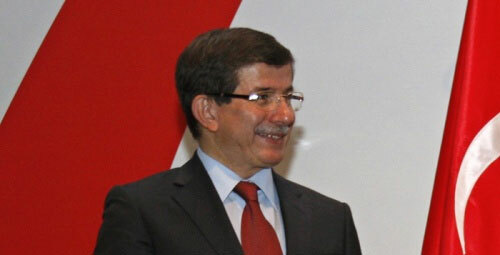 It is a necessity for us to develop mutual trust and cooperation, to know each other again in light of our 800 years of common history, and to engage in a humane relationship,” Davutoğlu said in a written statement issued on Jan. 20, a day after the eighth anniversary of the assassination of Turkish-Armenian journalist Hrant Dink. “With this understanding, we invite our Armenian friends to pay more visits to Turkey in order to remove mutual prejudices,” he added. Davutoğlu’s call to Armenians comes on the centennial anniversary of the mass killings of Armenians at the hands of the Ottoman Empire during World War I, recognized as the Armenian genocide by a number of countries. Armenia is preparing to hold massive ceremonies to mark the 100th anniversary in Yerevan on April 24 and has invited Turkish President Recep Tayyip Erdoğan to the events. Ankara, on the other hand, is planning to mark the 100th anniversary of the Battle of Gallipoli and extended an invitation to Armenian President Serzh Sargsyan to attend the ceremony in western Turkey. Sargsyan immediately turned the invitation down. “It’s our candid wish to re-establish friendships, heal wounds and share sufferings. Our vision is of friendship and peace,” he stated.